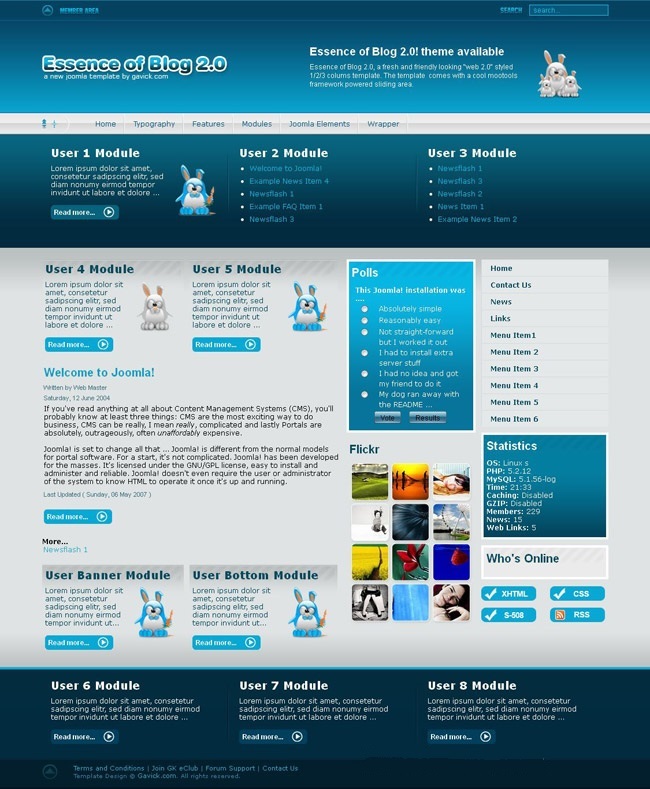 Template Essence of Blog 2.0 is a fresh solution and a beautiful view on the technology of "Web 2.0", according to the developers studio GavickPro. Template supports output up to 3 columns and supports a library of MooTools, through which you can see in the template decent slip effects, such as the authorization module. Also this template has good styling and typographic styles excellent design modules using classes suffixes. Essence of Blog a great solution to create a blogging project as well as any other sites.